Not really sure how forums work, but here goes. Did you ever post the diagrams? If so how can I find them? Thought they would be part of this thread. Thanks for the guide will be checking out the Audyssey guide next. Have not done it yet, thanks for the reminder. There are a few areas of the guide I would like to update in the coming weeks, will add diagrams then. I noticed the results being observed in the CCC shootouts. This peaked my curiosity so I gave it a try. The depth you guys described was there for sure. It was as if I could peer in to the music beyond the speakers, while still pinpointing where each sound was coming from. This formula worked in my listening room. I can't leave the speakers there, of course. Fortunately my sweet spot near the front wall (where B/A = 1.22) yields even better results with regard to depth acuity. It so happens to yield flatter frequency response as well. I may be able to credit this to the fact that I have 4" panels on the front wall behind each speaker. Also, the side wall 1st reflection points are non existing due to openings. I've got pics but the app keeps crashing. I am glad you gave it a shot and found a combination that works for you. That deep soundstage is something else, isn't it? Very Very good guidelines, your attention to detail is something I will forever be amazed at. I think if we all follow these guidelines we will be in a much better place, even if small adaptations are needed, these numbers will bring us all so close to correct. This kind of takes the worry out of being an audio nut to be sure. Well Done Wayne. Now can you also cure the neurosis ?? We are all more than a little bit crazy or we wouldn't be here. Excellent write up! 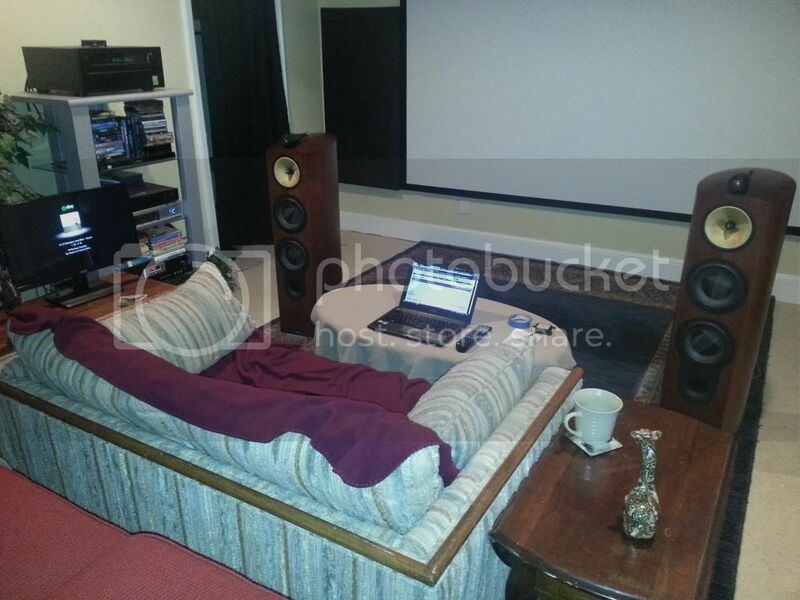 I am going to try this when I start building our garage Home Theater. I will have my 3 Klipsch La Scalas behind the screen but the cavity where the speaker will be will be around 4' deep. I know it will not be optimum but I hope it will allow me to get a deeper sound stage. I did something similar to this years ago when I had my Martin Logan Sequels, and I had an awesome sound stage. Thank you for bringing this up as it is definitely lacking in my current setup. As you can see, the speakers were waaaaay out in to the room. The listening experience was "nearfield-like." Love it. Getting that soundstage all around you is quite an experience! This gave me a target sound to shoot for when determining final placement. Great thread by the way. I wish you guys had published this in 1976 when I bought my first Magneplanars. Yeah, I know there was no internet then. I'll be recommending this thread to others. You guys manage to do more for your posters than just about any other site. I just want you to know that I for one appreciate it.